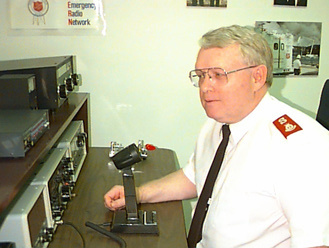 Salvation Army Major Richard Shirran, VE3NUZ, has been appointed as the new head of SATERN, the Salvation Army Team Emergency Radio Network. He succeeds Major Pat McPherson, WW9E, who retires with the new appointment, 23 years and one day after the first SATERN net was held. The announcement was made by Colonel David Jeffrey, the National Chief Secretary of the Salvation Army. McPherson applauded the choice, saying Shirran "has been a long time proponent of Salvation Army Emergency Disaster Services and its SATERN component. He understands well the culture of amateur radio and The Salvation Army, and he has proven … expertise in every field of disaster endeavor." A new Portuguese-language edition of CQ is due to be launched this August in Brazil. 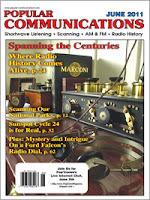 The new edition will be published by Radiohaus, a major Brazilian amateur radio dealer. It will be published bi-monthly and will contain a mix of articles translated from the U.S. edition and original material written specifically for the Brazilian ham audience. This is the same arrangement that CQ has with the publishers of its Spanish edition, CQ Radio Amateur. 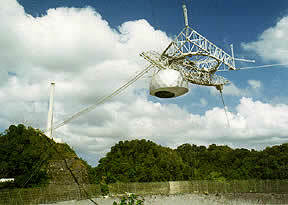 Nature.com reports that Cornell University has lost its management contract for the Arecibo Observatory in Puerto Rico. The world's largest radiotelescope has been managed by Cornell since it opened in 1963, and has occasionally been used for amateur radio projects, including a moonbounce operation last year. The new managers will be a consortium of groups including SRI International, the Universities Space Research Association in Washington DC; and the Metropolitan University in Puerto Rico. It is not known how the new management will regard the amateur radio operations at the observatory. FCC Chairman Julius Genachowski made a surprise visit to the Dayton Hamvention® during an unplanned layover in Dayton. 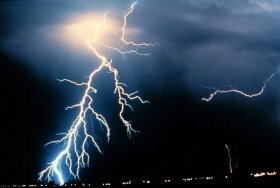 According to Hamvention officials, Genachowski was flying back to Washington on Friday, May 20, when his plane was diverted to Dayton because of severe weather in the Midwest. He was told he might have trouble finding a hotel room because of all the ham radio operators in town. After finding a room, he decided to visit the show on Saturday morning before returning to Washington. He spent about two hours at Hara Arena, talking with hams and checking out the equipment displays. 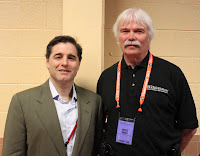 A planned guest at this year's Dayton Hamvention® was Astronaut Doug Wheelock, KF5BOC -- a callsign he's never used! "I call that my gravity callsign," Wheelock told Newsline. "My real callsign is NA1SS from the space station ..." He said that ham radio provided a great way to relax and decompress as he and his crewmates worked to fix a pump failure that required three spacewalks to repair. Plus, he said, "(h)aving you guys as an emergency contact for us around the globe was a warm, warm feeling for me as a commander…"
Users of the QRZ.com callsign database must now be registered and sign in before getting access to any name or address data. Owner Fred Lloyd, AA7BQ, explained in a posting that routine access to the database was being slowed down by a growing number of automated systems trying to harvest massive amounts of data at one time. Registration is free; ham users may access a maximum of 150 callsigns/day (not including their own); non-ham users are limited to 25 lookups per day, and QRZ subscribers will continue to have unlimited access. Rep. Greg Walden, W7EQI (L), with House Speaker John Boehner. A group of New York hams met in May with the sponsor of HR-607, the bill that would create a nationwide interoperable radio service for public safety officials, but at the cost of 420-440 MHz and 450-470 MHz. According to participants, Rep. Peter King (R-NY) promised to have the bill amended to remove the section that deals with auctioning off spectrum below 512 MHz, and staff members later confirmed that the Congressman had made that request to Rep. Greg Walden (R-OR), who is chairman of the Subcommittee on Technology, Communications and the Internet (and W7EQI). The committee is now in charge of the bill. Reportedly, Walden agreed to have the section removed, but as this is written in late June, no action had yet been taken on amending the bill. (C) there are an insufficient number of frequencies above the 700 MHz band to support the land-mobile communications needs of the licensee. Back in the 1950s, Japan became the first country to issue an amateur license that did not require a Morse code exam, the so-called Class 4 license. However, it has continued to require code tests for the Class 1 and Class 2 licenses, even as most of the rest of the world has ended amateur code test requirements. Now, according to Newsline, effective October 1, Japan will no longer require code tests for any class of amateur license. Interestingly, on an issue about which so many hams have been so passionate for so many decades, a request for comments on the proposed rule change drew only 39 responses. A wireless broadband internet company that received a waiver from the FCC to set up operations on frequencies immediately adjacent to those used by the Global Positioning System (GPS) has agreed to start up its operations on a different band. 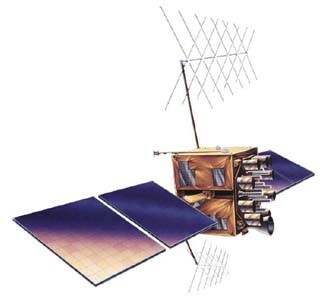 Both LightSquared and the FCC had been sharply criticized by aviators - especially private pilots who rely on GPS for precise navigation - as well as public safety officials, members of Congress, and the Federal Aviation Administration for inadequate testing to determine how much interference to GPS might result from having high-speed internet service right next door. The National Journal reported on June 20 that LightSquared had agreed to move its initial service to a different block of frequencies below the GPS band, "a solution which ensures that tens of millions of GPS users won't be affected by LightSquared's launch," according to the company's CEO. RadioShack is trying to respond to the needs of a growing community of builders, both among hams and "maker" groups around the country. In a video on its blog page, the company is looking for input from builders on what types of parts they should stock to meet customers' needs. The video, as well as comment space, may be found at <http://blog.radioshack.com/post/2011/05/19/RadioShack-And-The-DIY-Community-You-Talked-Were-Listening.aspx>. Students at Cornell University are involving ham radio and hams in a project designed to collect information about the atmosphere of Saturn. The AMSAT News Service reports that students at Cornell have developed fingernail-sized satellites designed to be sent to Saturn, where they will flutter down through its atmosphere, reporting on chemistry, radiation and particle impacts. The so-called "Sprites" transmit on the 902 MHz ham band. A group of them is now being tested on board the International Space Station, attached to a panel on the outside of the station. Hams are invited to listen for these very low-powered beacons. 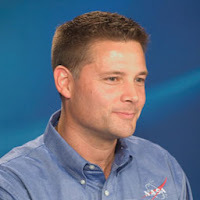 For more information, see <http://tinyurl.com/3fs5ks7> or <http://www.spacecraftresearch.com/blog>. Launch a Balloon Satellite in May. 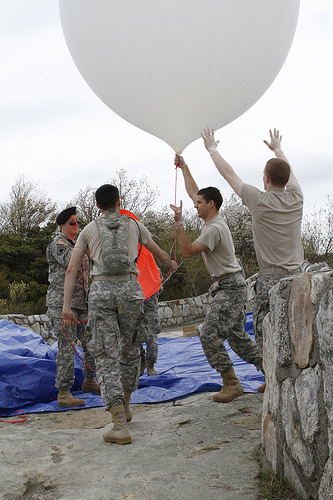 Cadets from the U.S. Military Academy's astronomy and amateur radio clubs used the last day of this year's spring semester to launch a "balloon satellite" to the upper reaches of Earth's atmosphere. Still and video cameras aboard the craft shot photos as it rose to an altitude of more than 85,000 feet and then descended. An Automatic Packet Radio System (APRS) transmitter allowed students to track the payload throughout the flight and to later recover it, the instruments "still cold from their journey to space," according to a West Point news release. The release also described the APRS system as "an ad hoc network of ham radio operators that run a nationwide communications utility as a public service." The launch also highlighted inter-service cooperation in the military, as the West Point group has been collaborating with the aeronautics department at the U.S. Air Force Academy and APRS was developed by Bob Bruninga, WB4APR, who teaches at the U.S. Naval Academy. New Russian Prefixes are on the air. Telecommunications authorities in the Russian Federation have made changes recently in the assignment of amateur radio callsign prefixes. The ARRL Letter reports that, among other things, calls with the numeral "2" are no longer limited to Kaliningradsk (now RA2 and UA2-UI2 with "F" or "K" as the first letter of the suffix), certain calls with "8" or "9" as the numeral may now be in European Russia, and new blocks of temporary callsigns have been designated for operations in Antarctica, Franz Josef Land and Malyj Visotskij Island. You're invited to join Popular Communications editor Richard Fisher, KI6SN, for the magazine's first-ever live online chat session. It's Sunday, June 5 beginning at 4 p.m. Eastern time. The session promises to be casual, friendly and lots of fun. We'll also be conducting some instant online polls. 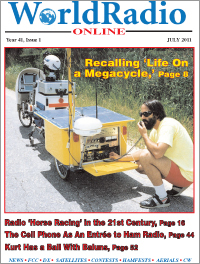 Radio enthusiasts from everywhere are invited to join in. You can sign-up there now for an email reminder, as well.